Showcase Your Commitment To Green With Renewable And Compostable Cold Cups. Strong And Durable, Greenstripe Cold Cups Provide A Renewable Way For You To Save Resources Without Compromising Performance. 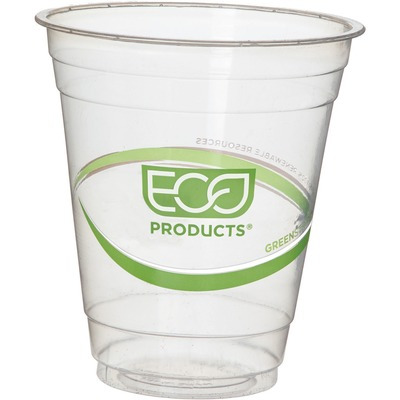 Cups Are Made From Pla, A Plant-Based Plastic So These Cups Are 100 Percent Renewable, Bpi Certified Compostable And Astm Compliant..
Showcase Your Commitment To Green With Renewable And Compostable Cold Cups. Strong And Durable, Greenstripe Cold Cups Provide A Renewable Way For You To Save Resources Without Compromising Performance. Cups Are Made From Pla, A Plant-Based Plastic So These Cups Are 100 Percent Renewable, Bpi Certified Compostable And Astm Compliant.